Highly-regarded as an executive in the field of engineering, statistical, and process improvement methodologies, Dr. Susan Schall is celebrating more than two decades of professional excellence. Although she considered becoming a lawyer in high school, she realized pre-law programs didn’t require the math and science she loved, so she turned toward engineering. A light bulb went off when she discovered industrial engineering, and she knew at once that it was going to be her career. 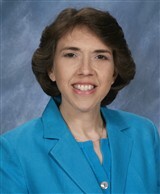 Set on her path, Dr. Schall earned a Bachelor of Science in mathematics from the State University of New York in 1981. She then received both a Bachelor of Arts and a Master of Arts in industrial engineering from Pennsylvania State University and followed that up with a PhD in 1988. She is an American Society for Quality (ASQ) certified quality engineer and manager of quality organizational excellence, and is a Six Sigma Master Black Belt. Dr. Schall founded SOS Consulting LLC in Front Royal, VA in 2004, backed by a line of technician and management positions in engineering and consulting firms. She was a methodology director at RR Donnelly Inc., in Illinois, the president of Susan O. Schnall Process Improvement Consulting in Virginia, and the technical superintendent of control systems at DuPont Engineering Polymers in West Virginia. Dr. Schall has also served as the president of the Pennsylvania State University College of Engineering Alumni Society and the Pennsylvania State Industrial Engineering Industrial Advisory Council. Using her strong background, she has consulted for ABET Inc., the Accreditation Board for Engineering and Technology, and has lent her services to the board of examiners of the Malcolm Baldrige National Quality Award team. Over the years, Dr. Schall has guided clients to achieve business goals using a unique combination of organization health, process management, statistical thinking, and new mindsets to improve execution, while creating customer value and peace of mind. She is separated from her peers by the fact that she is an integrator, taking different data tools and concepts and putting them together to help with the issues at hand. Her compassion and empathy help set her clients up for success. Dr. Schall focuses on small manufacturers, understanding that they are often overlooked and wanting to have a transforming effect on them. She also enjoys mentoring others, especially young women, to have the tools and mindset to always make a difference in their work. To remain connected to her community, Dr. Schall maintains affiliation with the American Society of Engineering Education, the American Society for Quality (ASQ), the Institute of Industrial Engineers, and the Northern Shenandoah Valley section of ASQ. She is a fellow of the Accreditation Board for Engineering and Technology, and has been a lay leader and lay servant of the Front Royal United Methodist Church in Virginia. In recognition of her achievements, Dr. Schall received the Outstanding Engineering Alumna Award and the Distinguished Service Award from Pennsylvania State University’s College of Engineering, as well as the Engineering Excellence Bronze Award from DuPont Engineering. She received the Medallion Award from the Institute of Industrial & Systems Engineers for professional achievement and service in 2018. She is also featured in Who’s Who in America.